The first thing you notice about Extreme Butoden is the amount of iconic characters of the series, like Goku, Piccolo, Vegeta and Gohan. In total, more than 100 playable fighters, including heroes and villains of "Dragon Ball Z: The Rebirth of Freeza," the latest animation film. The developer Arc System Works, known for its work in the main title of the Guilty Gear fighting series, masterfully knew simplify the complex movements that the game genre requires. In Extreme Butoden, the controls are easy to master and you can perform specific combinations of moves and super powers with few button presses. Although the animations of the attacks are faithful to what has been seen in Japanese version of the game, and the movement is rewarded with the absurd fluidity of gameplay, the title piece in the challenge aspect, because all struggles can be overcome with some inspired sequences. Apparently, some occasional adjustments related to the levels of difficulty need to be made before the product reaches the shelves officially in October. 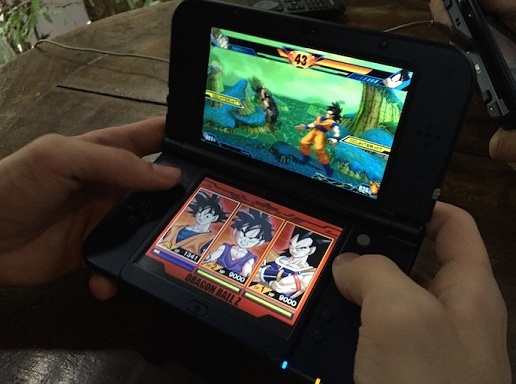 On the side of the story, Extreme Butoden offers the user the chance to relive the memorable clashes of Dragon Ball Z alongside the main combatants of the saga. In addition to the nostalgic campaign, Butoden brings an adventure mode, which aims to recruit new allies in eight regions of different planets. To diversify the gameplay, there will be a form entitled International Tournament, which will provide dozens of historical clashes in sequence. If the player does not want to revisit the seasons which were the anime, he will be able to confront other users in Versus mode, which is nothing more than an option for local battles between friends. You can also opt for the classic mode of battle, in which any of the more than 100 fighters can be chosen to face waves of enemies controlled by artificial intelligence. Even with the hardware limitations of the 3DS, the ambition of Arc System Works to bring the project to anime graphic templates worked. Fortunately, Butoden has traces of the animated series and can translate perfectly the Toriyama artwork. Apparently, Dragon Ball Z: Extreme Butoden will be another must have title for anyone who is fan of the franchise.